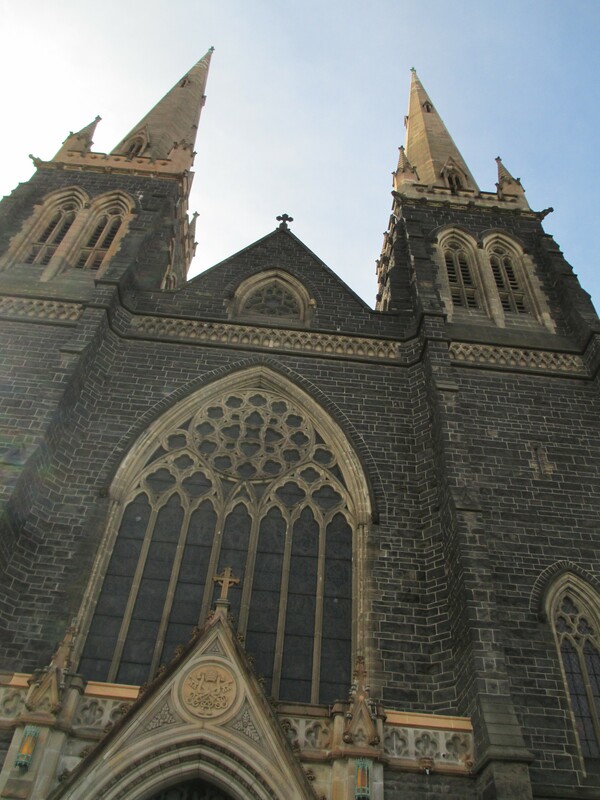 Having lived in and around Melbourne for many years I’ve noticed that Melbourne has some truly beautiful churches and that individual areas seem to have common qualities when it comes to their churches. So I thought it might be interesting to have a look at a few. 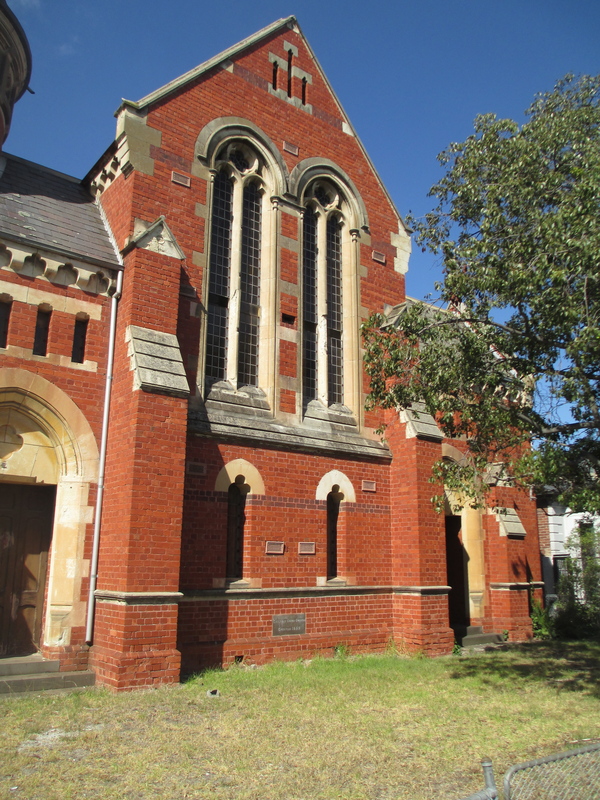 I wanted to begin with St Joseph’s Catholic Church on Orrong Road in Elsternwick because this was where my grandparents were married in 1944. 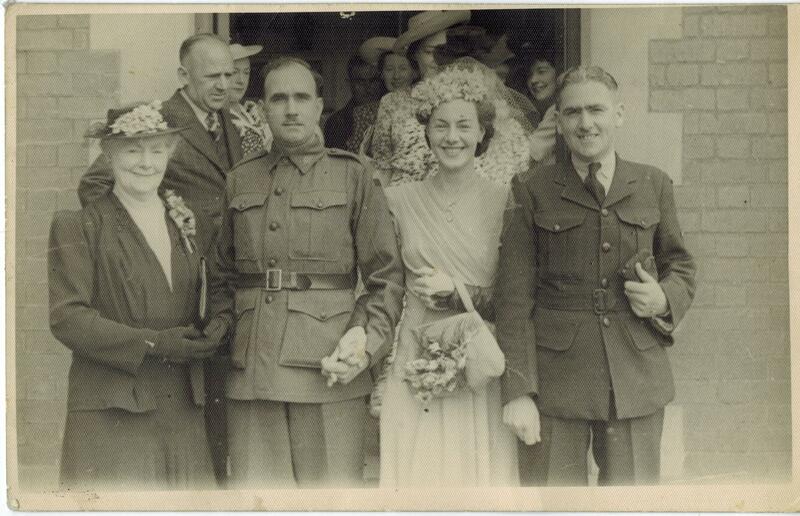 My grandparents are, obviously, in the middle of the photo and my great grandmother is on the left. St Joseph’s was founded in November 1897. 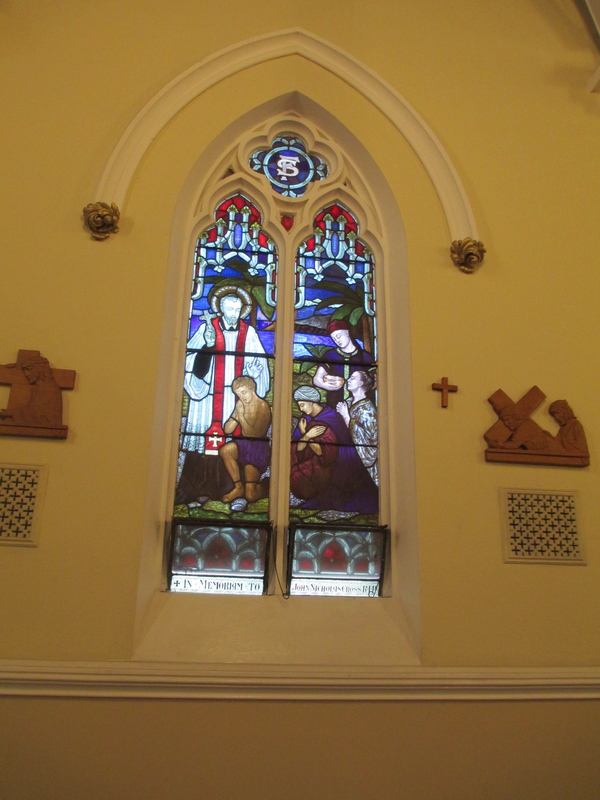 The first priest of St Joseph’s was Rev. Fr Carey, but he was Dean of St Mary’s Church in West Melbourne rather than a priest for St Joseph’s alone.The second priest was Rev Fr. 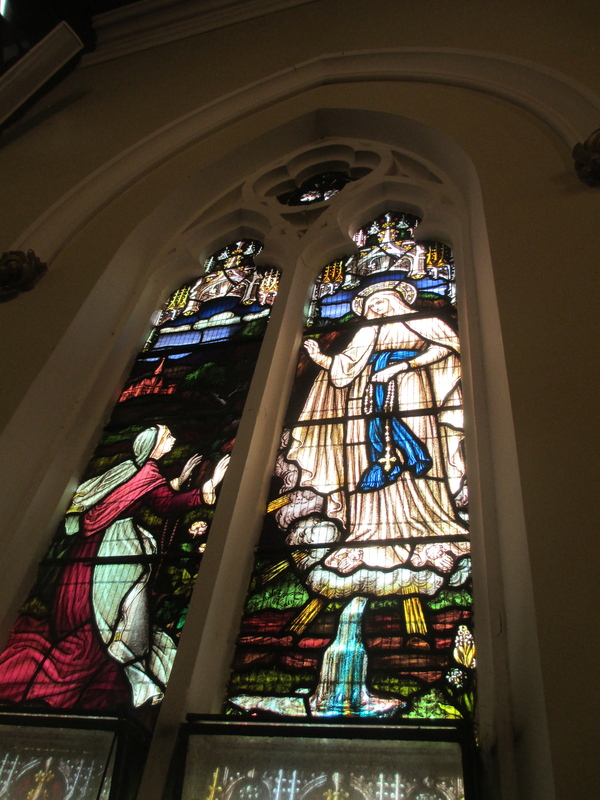 Gough, he was the parish priest for St James’ Church in North road to which St Joseph’s was attached to at the time. He can be seen in the photo below second from the left. 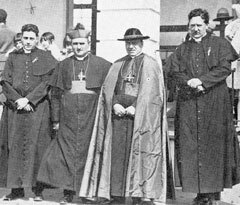 Barry’s boss while he was administrator of the Melbourne Archdiocese was Archbishop Daniel Mannix, a towering figure in Melbourne history. Another Irishman from Cork, he was born in 1864 and was Archbishop from 1917 until his death in 1963. 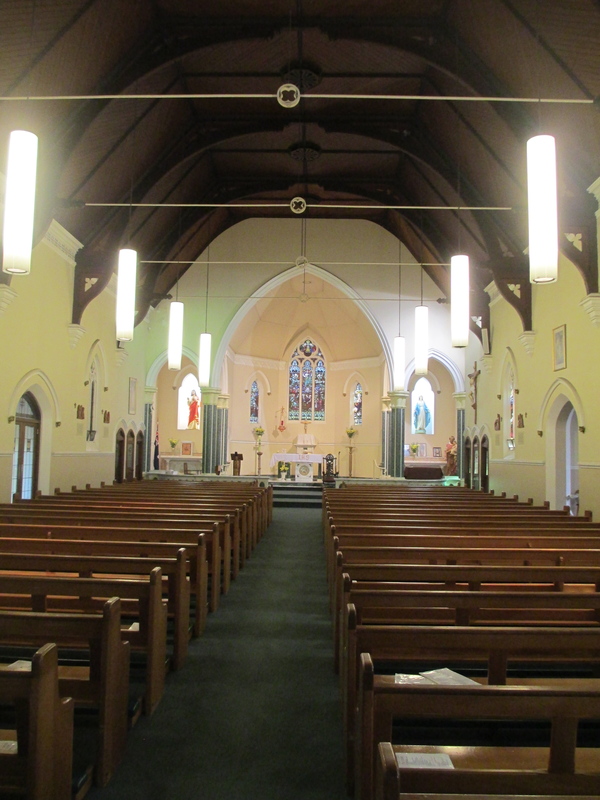 The magnificent St Patrick’s Cathedral was the heart of the diocese. 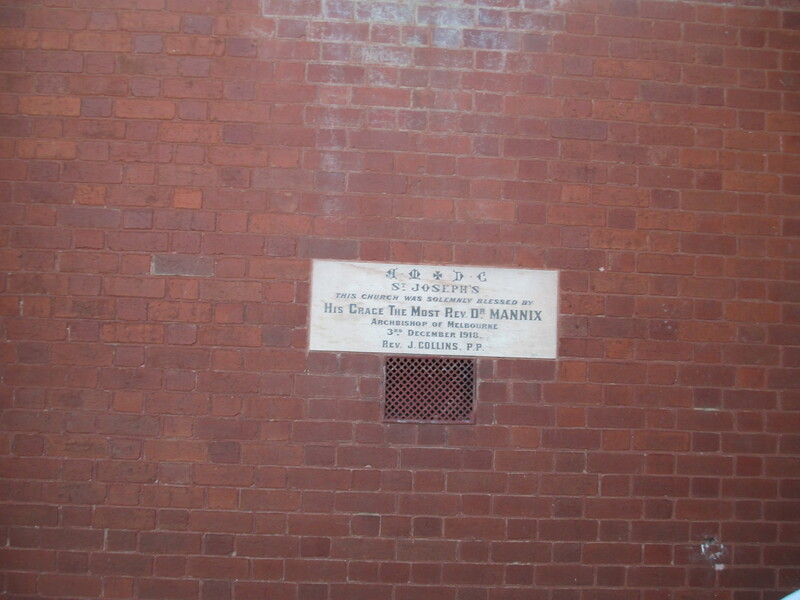 Mannix also solemnly blessed St Joseph’s in 1918 and a stone was laid in the church to commemorate the occasion. Rev. Fr. John Collins was priest when St Joseph’s was blessed, but he was still priest of a combined parish. 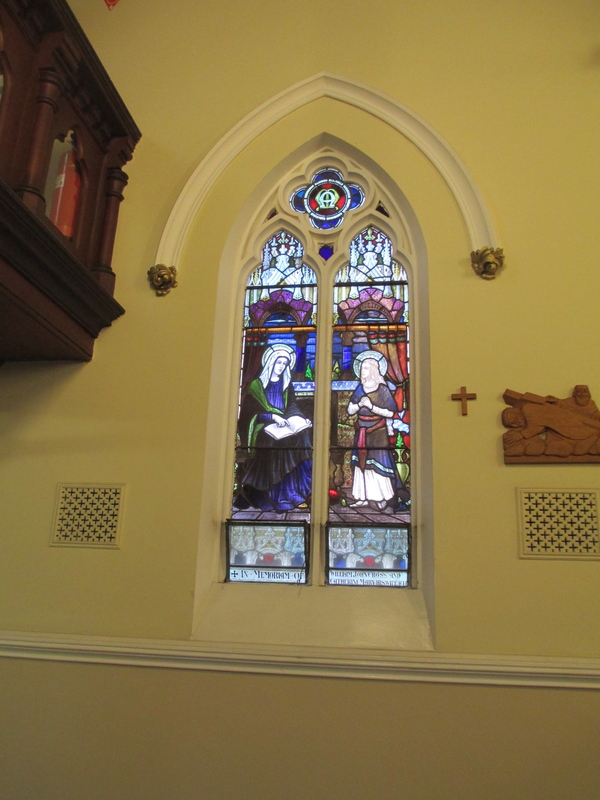 The first priest appointed parish priest of St Joseph’s alone was Rev. Father Michael Dolan who died in 1936 aged 69. 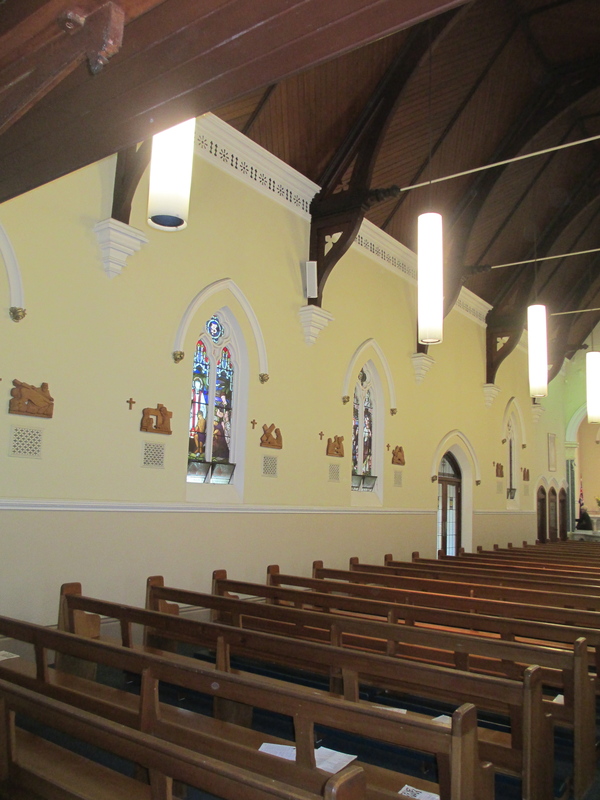 He was the first Melbourne priest to be ordained in St Patrick’s College in Manly, the primary Australian Catholic Seminary founded in 1889, in 1895. 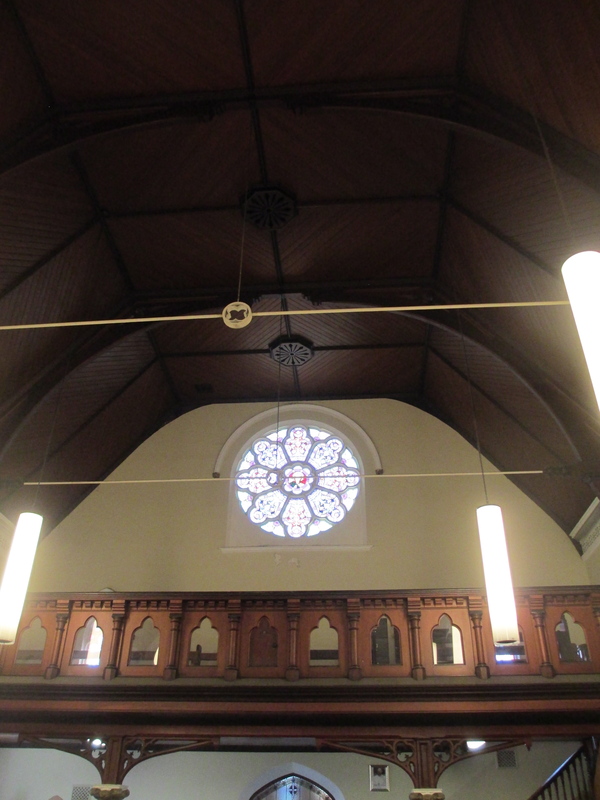 The interior of St Joseph is interesting. 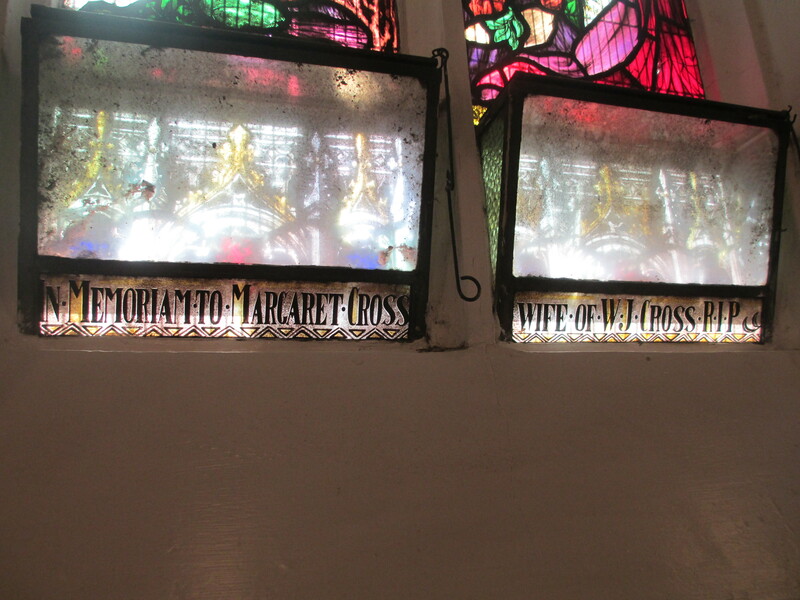 William John Cross is commemorated in another window with his wife Catherine Mary. 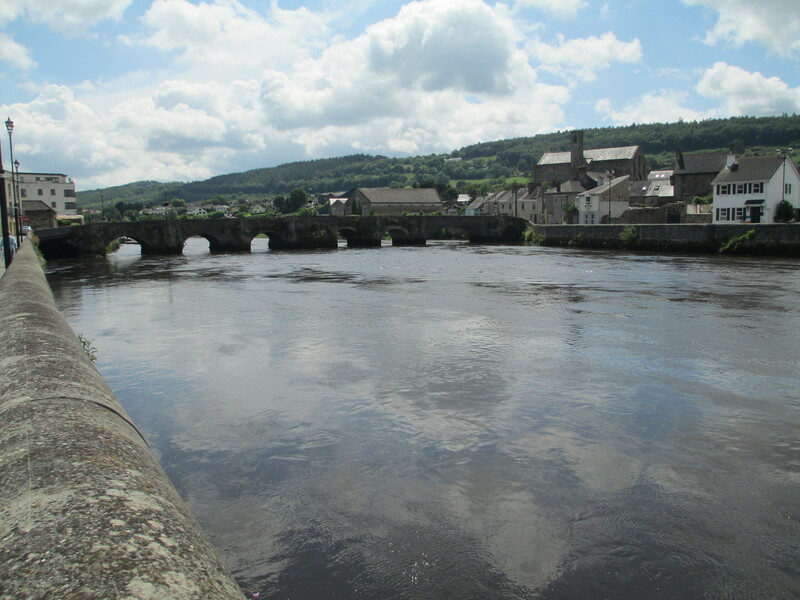 The main bridge in Carrick on Suir. 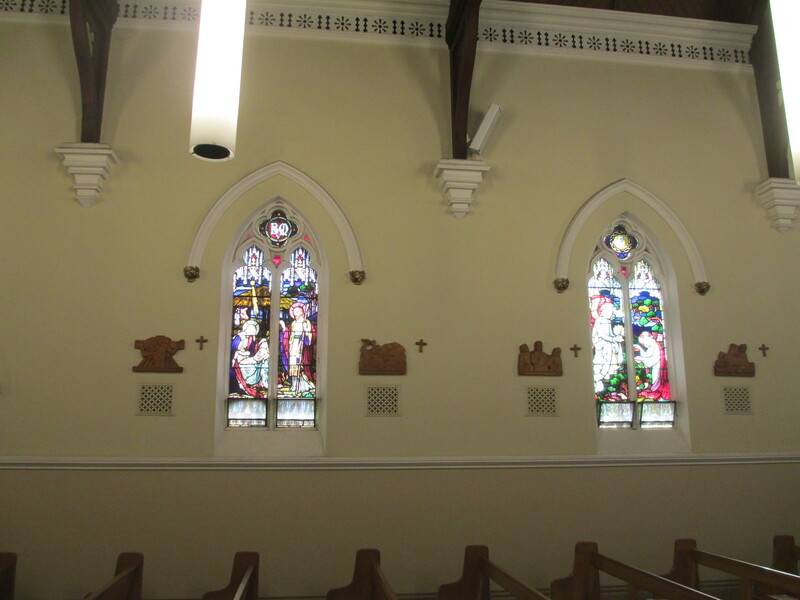 Margaret’s Cross’ window is on the right. 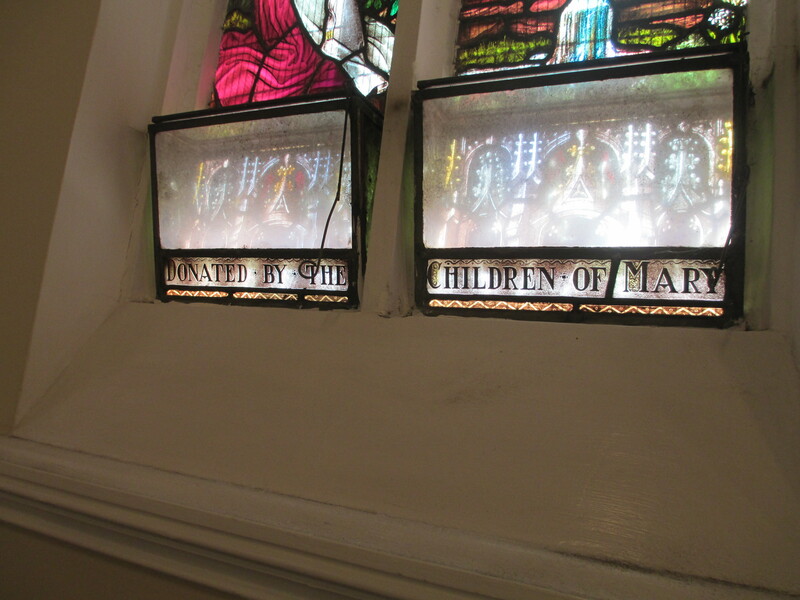 There is also quite a lovely window donated by the group the Children of Mary. 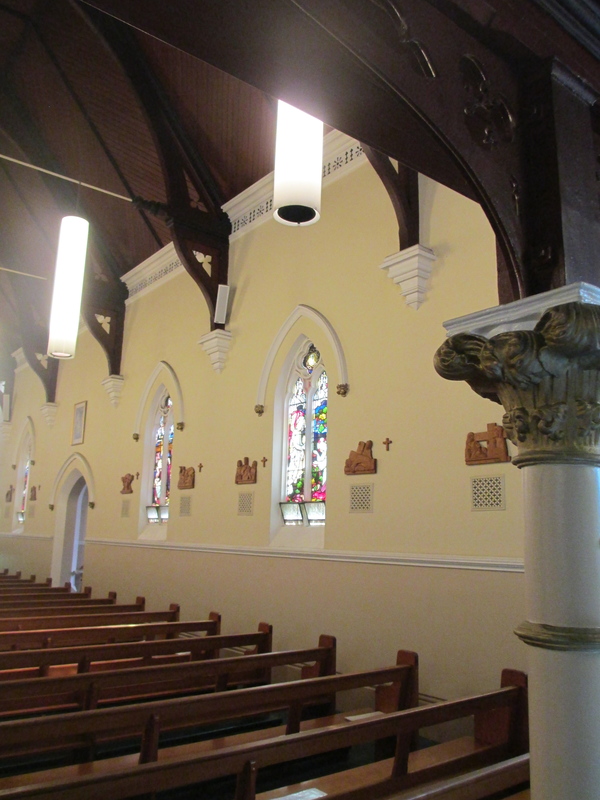 St Joseph’s is typical of many Melbourne churches in that it reflects the local community and the people involved with the church. 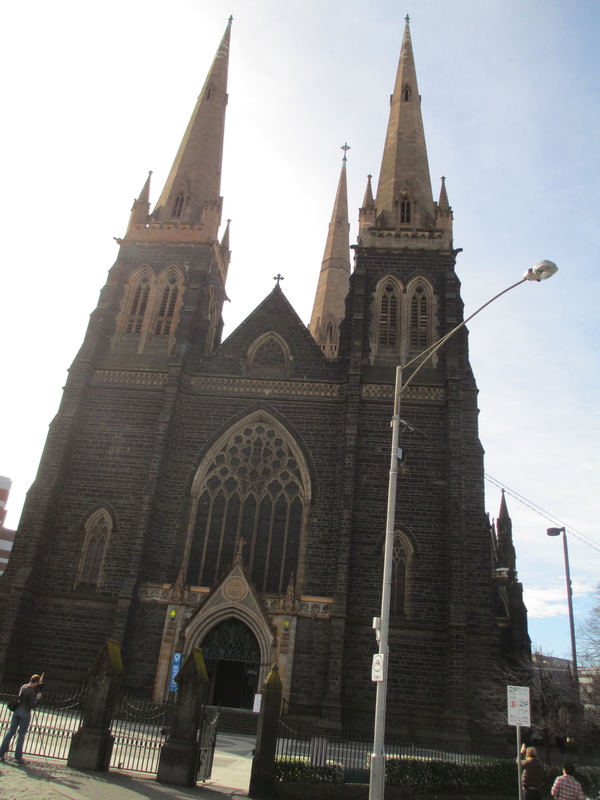 It is by no means the most beautiful of the churches but it is still lovely in its own way and is firmly part of the evolution of Melbourne as a city. 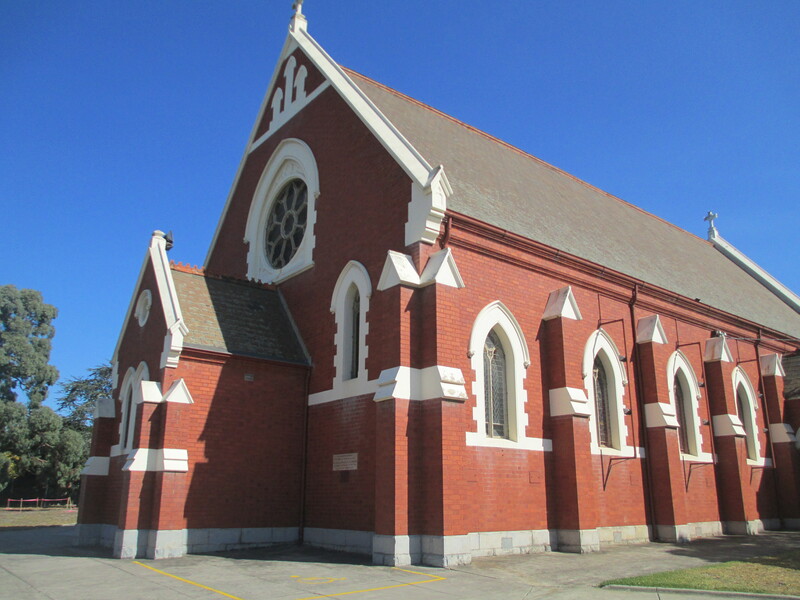 Also its red brick exterior is typical of churches in the area. You can see the similarities in the Uniting Church just down the road. I am hoping to find out for about this church in the future. 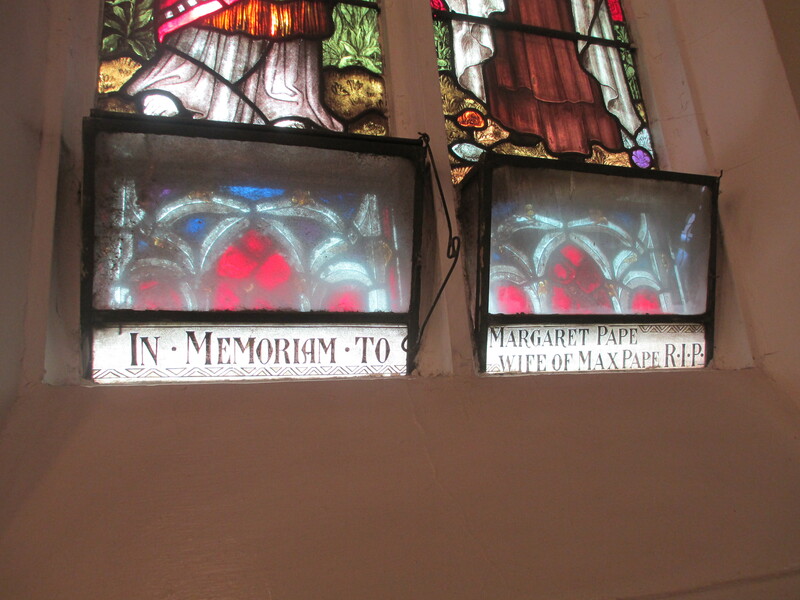 Obituary of Margaret Pape. Trove. http://trove.nla.gov.au/ndp/del/printArticlePdf/9620132/3?print=n. Posted in Australia, Churches, Melbourne, Victoria	Archbishop Daniel MannixChurchesMelbourneSt JosephVictoria. Hi Helen. I’m glad you found it interesting. I’m sorry I don’t know anything about either father in particular. I can check my notes from when I wrote the post, but I don’t have access to the at the moment. I’ll have a look at let you know. I would also try Trove.